With a big 5″ (12.7 cm) touchscreen, more than 5 million points of interest (POIs) and spoken turn-by-turn directions, nüvi 50LM makes driving fun again. Plus, with FREE lifetime map updates, you always can keep your roads and POIs up to date. 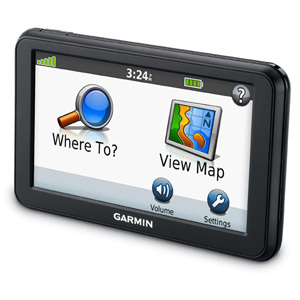 View routes on the big 5″ (12.7 cm) touchscreen.